What began decades ago—shortly after the use of computer numerical control (CNC) for cutting machines and personal computers became prevalent industrywide—is now a major factor contributing to increasing material and operating efficiencies by sheetmetal fabricators worldwide. It’s nesting software, and in some ways, metalforming and nesting are evolving together throughout the world. 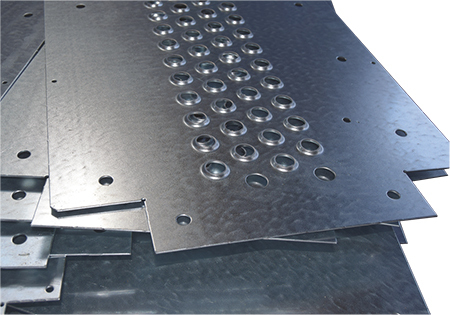 Common-line cutting and punching helped reduce material waste while improving machine runtime to 20 percent for Ribo Blechbearbeitung, a German manufacturer of food carts and display systems. Take for example, Teistungen, Germany-based Ribo Blechbearbeitung GmbH, a manufacturer of made-to-order retail outfitting products such as food carts and display systems, which committed to nesting in 2001 when the majority of its business was large volumes of single parts. The company used single-component automatic processing and nesting software features from Jetcam International s.a.r.l., Monaco, to automatically tool and nest parts. Since then, Ribo has benefitted from several Jetcam software enhancements, including the 2009 addition of remnant-sheet management, allowing Ribo to add all of its remnants into the material-stock database automatically, for easy identification and reuse. Common cutting and punching also has helped to reduce material waste while optimizing machine runtime, enabling Ribo to run two shifts instead of three to meet production requirements. The Tool Teach feature allows Jetcam software to learn complex tooling for new parts at HC Coils, a U.K.-based manufacturer of heat-exchanger products. Shown is a collar-punched coil-tube plate. Programming time at HC Coils dropped 85 percent, enabling a day’s worth of nests to be programmed in less than an hour. 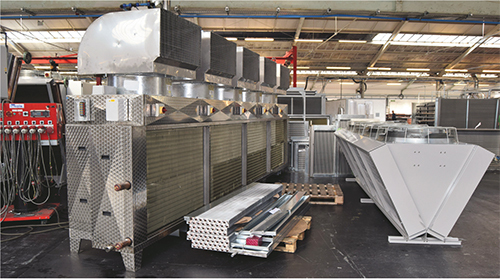 Shown are aluminium-cased low-profile coolers waiting for fans to be fitted. Jetcam Orders Controller simplifies ordering of parts and assemblies at HC Coils. Once parts are created, HC Coils uses JOC to structure assemblies and create order lists. Complex assembly structures can be created by dragging and dropping components, specifying their quantity and, where relevant, revision number. For automatic nesting, Jetcam creates worksheets in the orders screen, and operators drag components or complete assemblies onto the worksheets. CSV files of components also can be imported to populate the orders lists quickly. Other features, such as remnant-sheet management and common-line punching, provide additional benefits. Remnants are created easily during nesting and then reselected for orders, reducing material wastage. Common-line punching further decreased waste material by using a single cut to separate parts rather than leaving a skeleton between them. Nests also take less time to run. In 2012, two years after implementing Jetcam, HC Coils replaced its aging punch presses with an Amada EM 2510 with sheet loader. This change simply called for a replacement postprocessor, installed in one day. 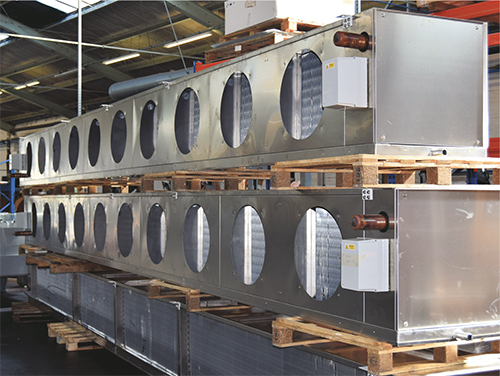 To minimize downtime during the transition, HC Coils used SCAP to retool components. See also: JETCAM USA Inc., TRUMPF Inc.